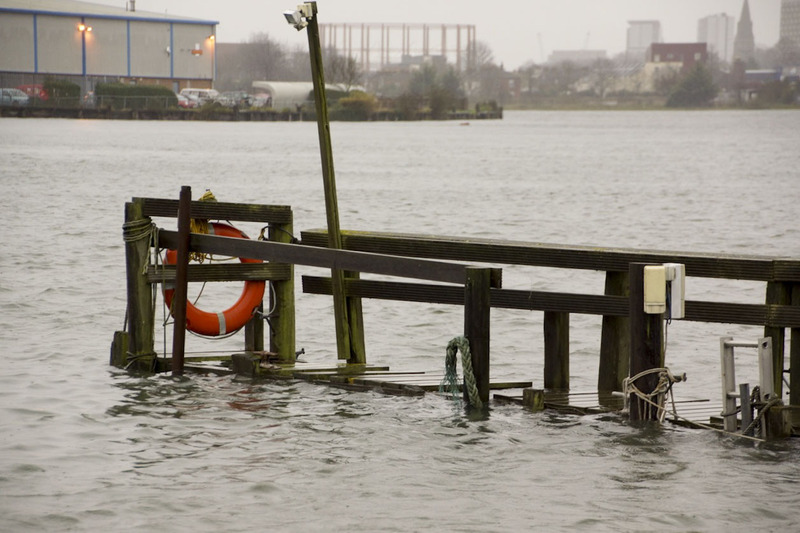 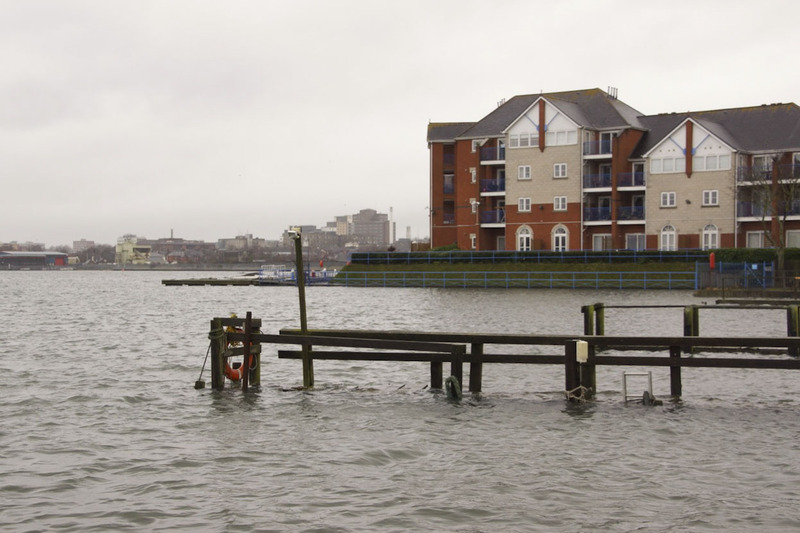 Each year the highest predicted tides for Southampton are about 5m which is defined in the Tide Tables as the “Highest Astronomical Tide (HAT*)”. 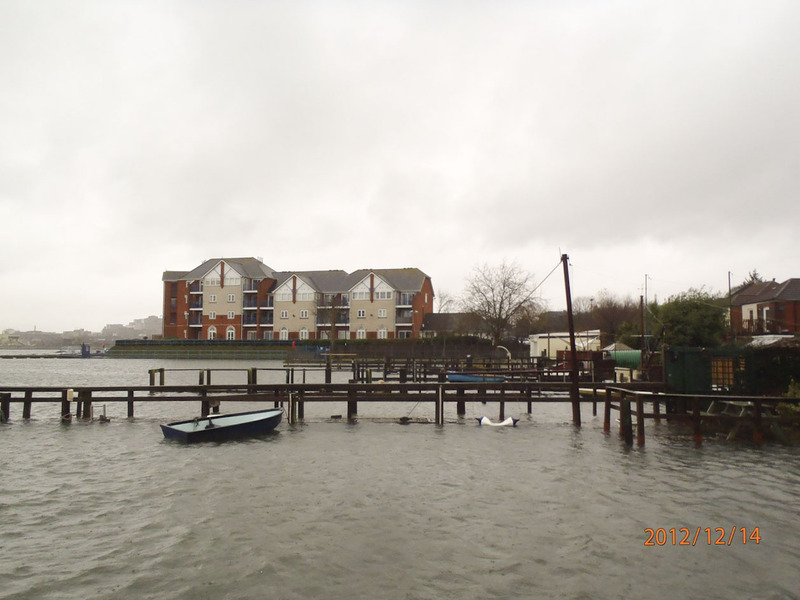 On 14th December 2012 the predicted tide height was 4.9m. 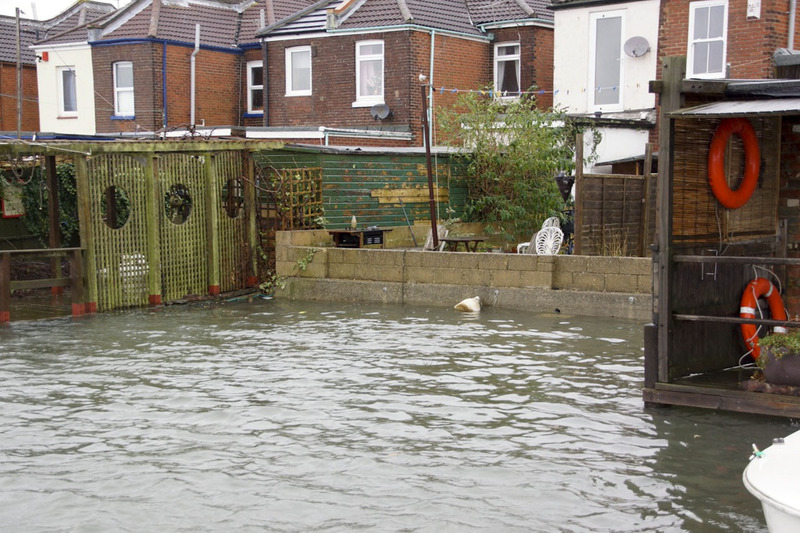 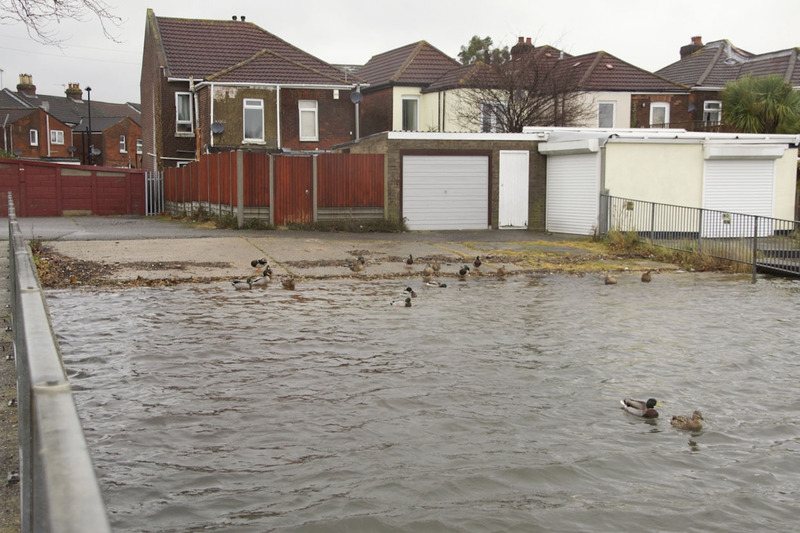 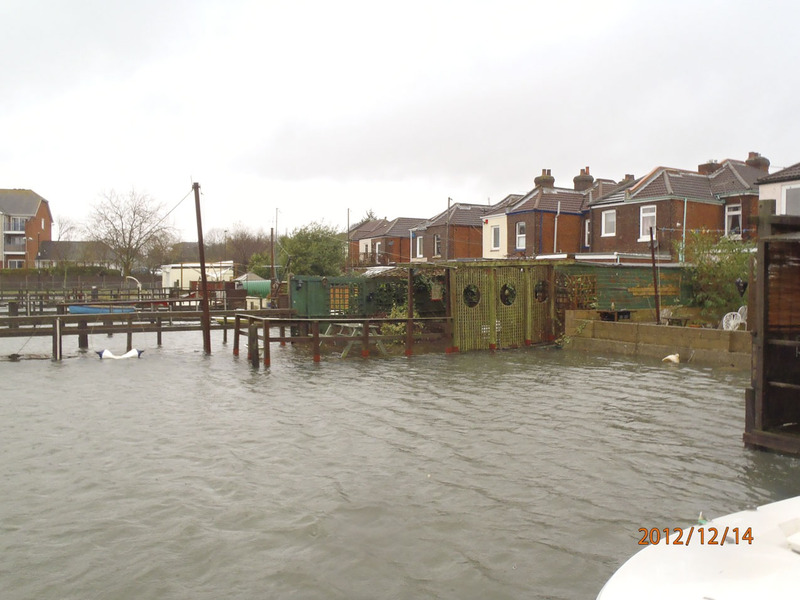 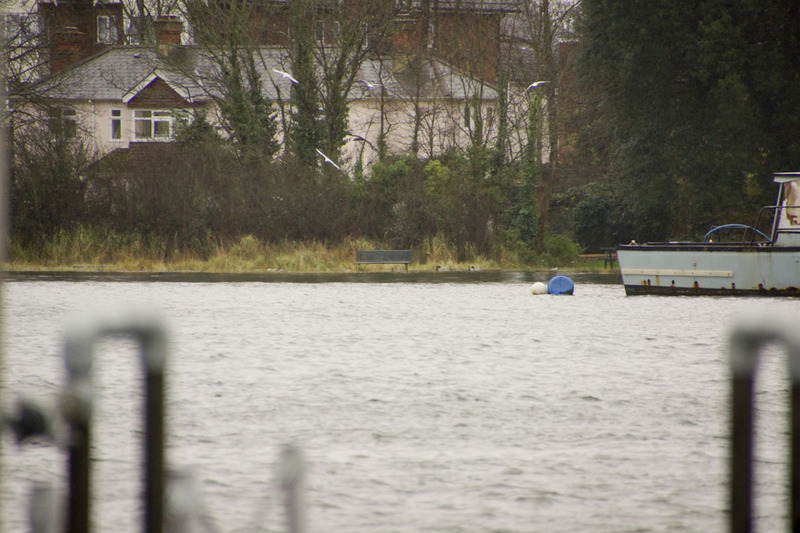 A resident of St Denys took these photos to show what it looks like when we have a really large tide. 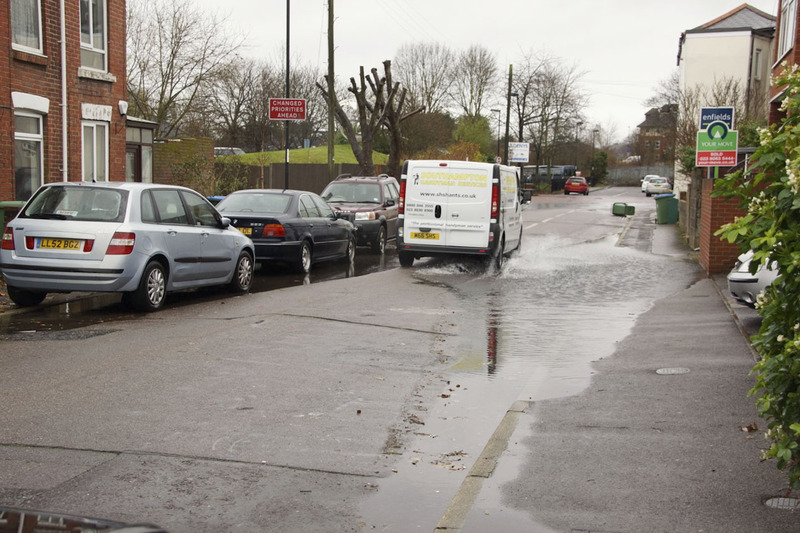 Minor flooding occurs but any damage is very minor. 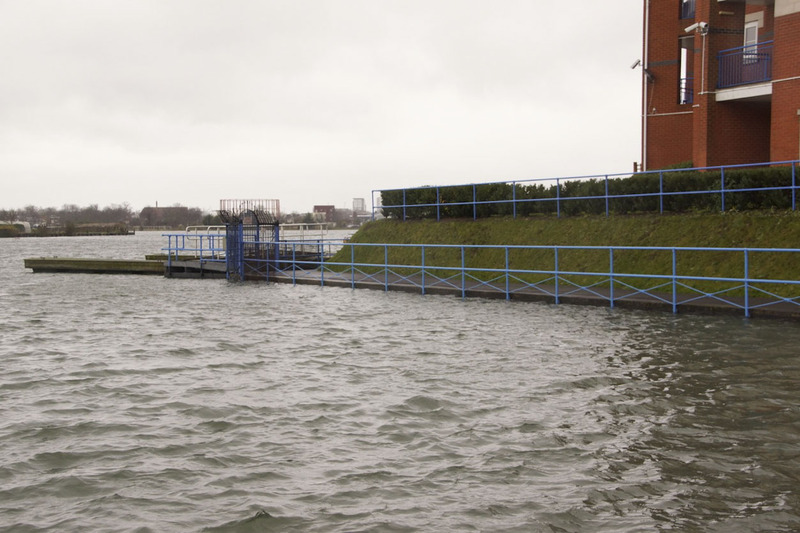 It is only if a high tide is accompanied by a storm surge that properties are at risk of flooding. 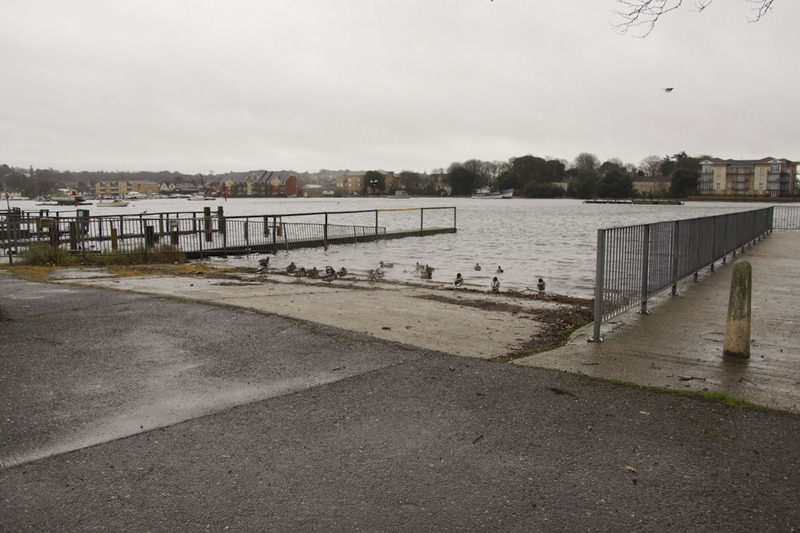 The photographs show that some of the jetties and landing stages were under water. 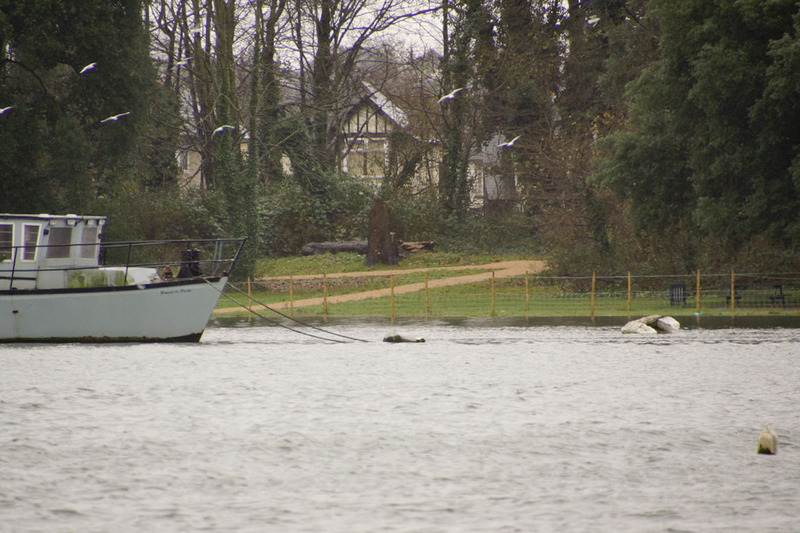 The water did not come over the walls of riverside gardens, although the lower part of the public park at Bitterne Manor was under water. 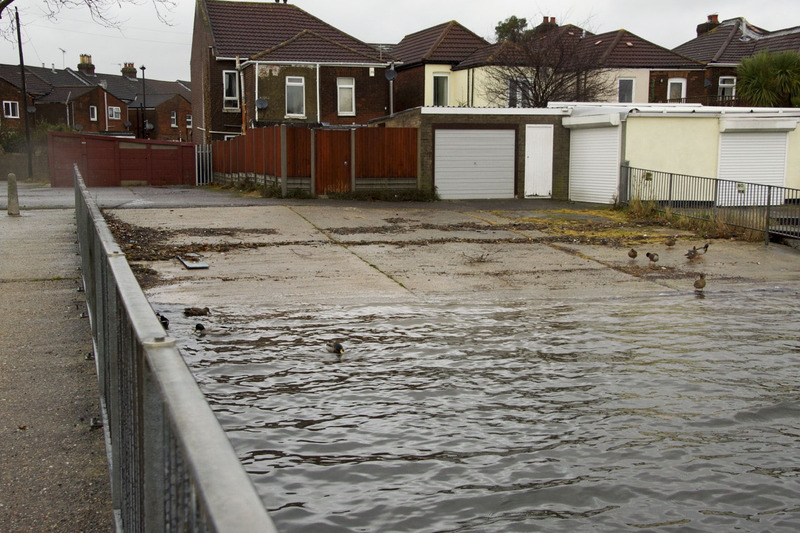 The water level was high on the Priory Road Public Hard but did not overtop it. 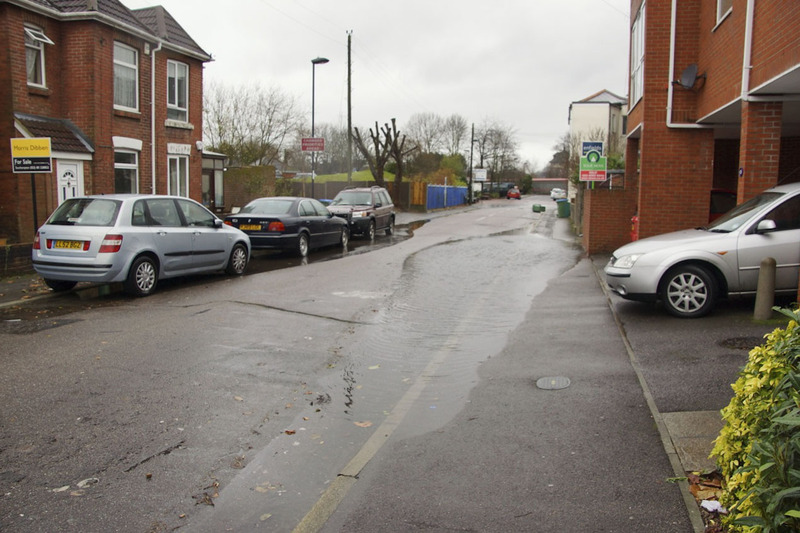 Large puddles formed nearby in Priory Road due to river water coming up the rain water drains in the road. 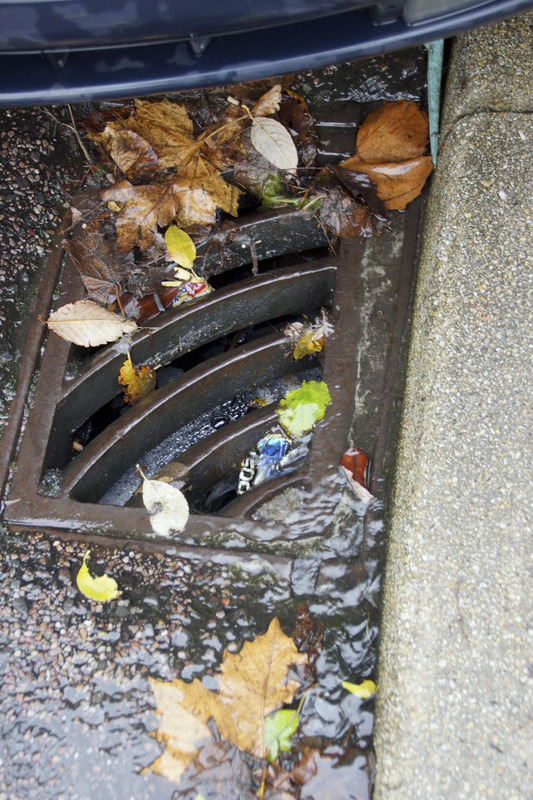 The road drains empty into the river and if the valve gets blocked, back flooding occurs. 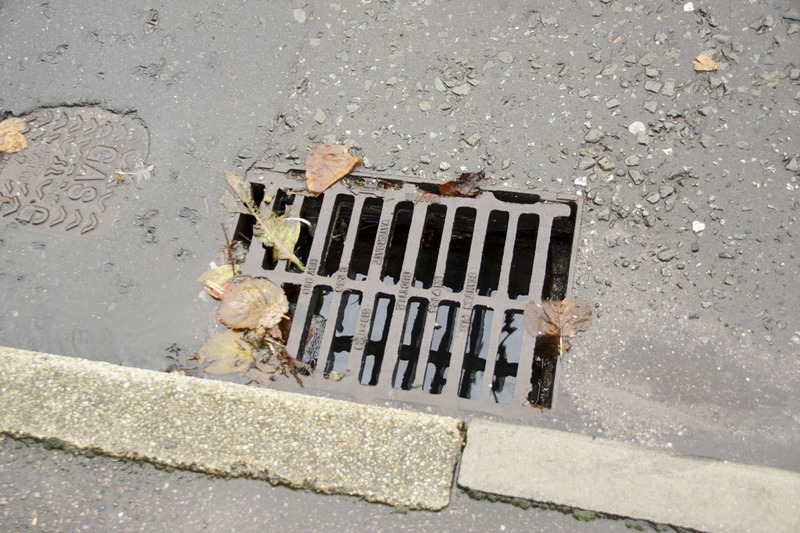 These same two drains were photographed after the river level had decreased and the puddles drained away.